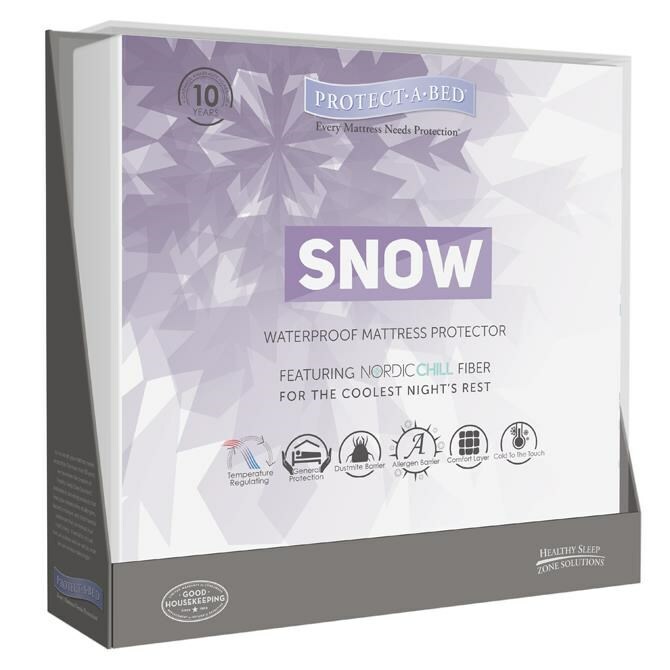 The Therm-A-Sleep Snow Cooling Mattress Pad Protector with Nordic Chill helps you stay cool while you're sleeping and keeps your bed clean. Nordic Chill cooling mattress pad fabric dissipates body heat up to 10 times faster than cotton, creating a cold sleep climate. Miracle Membrane barrier promotes a healthy sleep environment by protecting you from dust mites and other allergens that may lurk in the mattress, including mold, mildew, pet dander and pollen. Whisper-quiet waterproof cooling mattress pad extends the life of the mattress by blocking accidents, incontinence, perspiration, spills and stains, yet is air permeable to keep you dry. 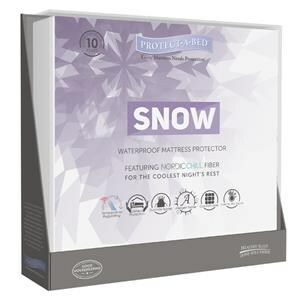 The TSS0 Snow King Mattress Protector by Protect-a-Bed at Value City Furniture in the New Jersey, NJ, Staten Island, Hoboken area. Product availability may vary. Contact us for the most current availability on this product. Browse other items in the TSS0 collection from Value City Furniture in the New Jersey, NJ, Staten Island, Hoboken area.